W. E. B. Dubois seated in his office at The Crisis, New York, NY, circa 1924. 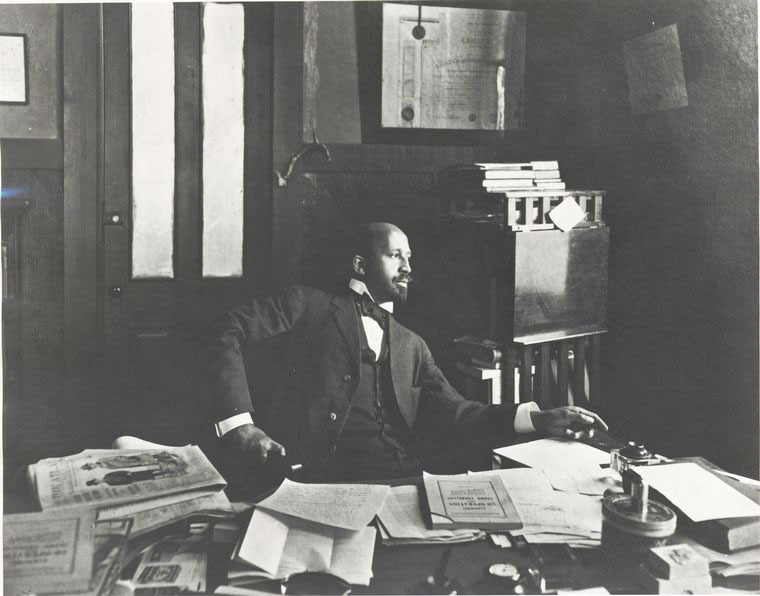 W. E. B. DuBois and Jesse Fauset both grew up in well-to-do African American families and shared the conservative social values and good manners of America’s black elite. Fourteen years older than Fauset, DuBois played an important role in her development as a writer.